The SUN Movement Principles of Engagement seek to reflect the common purpose, agreed behaviours and mutual accountability that form the basis of the Movement. They provide the foundation for positive collaboration, and underline the requirement that those who engage in the Movement avoid behaving and acting in ways that could disempower – or even harm – those the Movement seeks to serve. 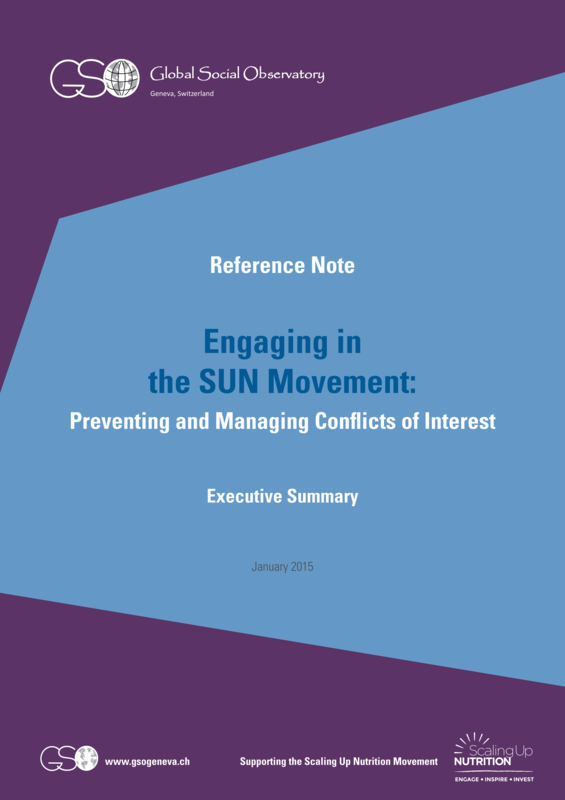 The SUN Movement Strategy and Roadmap (2016-2020), includes a work steam specific to Conflict of Interest; “Enabling an environment for effective delivery of results, that is true to the SUN Movement’s principles and includes safeguards and means to prevent and manage conflicts of interest”. Building CoI capacity at the country level has been prioritised as an approach including support to in-country practitioners, CoI champions training and TA. Organizations and resources able to support countries on CoI are identified. Where appropriate, as identified by country needs, engagement is facilitated, channeling practical and tailored support for the development / operationalization of country specific CoI approaches, including implementation and monitoring. The SUN Movement’s work to date on preventing and managing conflict of interest is being broadly disseminated, and materials, resources, case studies, and relevant news items on CoI are created and made available globally, regionally and at country level. A SUN Conflict of Interest Working Group has been established with the purpose creating a space for conflict of interest (CoI) to be discussed, to share knowledge, share information, develop new ideas, and collectively organize resources. An ethical framework is being developed for the Movements and its stewardship arrangements to ensure that open, transparent and accountable behavior is reflected in procedures of the Lead Group, Executive Committee, SUN Networks, and the SUN Movement Secretariat. The SUN Movement is reporting annually on the progress and impact of implementation of CoI policies and procedures at country level, and on the development of CoI tools and products globally. The Organisation for Economic Co-operation and Development (OECD) helps countries modernise their approach for managing conflict of interest by mapping “at risk” areas and positions within the public service. The OECD Guidelines for Managing Conflict of Interest in the Public Service identify a set core principles and standards for the design and implementation of conflict-of-interest policies. It includes a practical framework of reference for reviewing and modernising existing policy solutions in line with good practice, how to promote a public service culture in which conflicts of interest are properly identified and resolved or managed and support for partnerships between the public, private and non-profit sectors in identifying and managing conflict-of-interest situations. The Comprehensive Implementation Plan on maternal, infant and young child nutrition (CIP) recommends the creation of “a supportive environment for the implementation of comprehensive food and nutrition policies” and calls for Member States to “establish a dialogue with relevant national and international parties and form alliances and partnerships to expand nutrition actions with the establishment of adequate mechanisms to safeguard against potential conflicts of interest”. 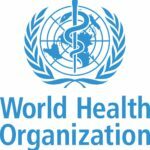 In this light, Member States, through resolution WHA65.6, requested the Director-General to “develop risk assessment, disclosure and management tools to safeguard against possible conflicts of interest in policy development and implementation of nutrition programmes consistent with WHO’s overall policy and practice”. This has led to the technical consultation: “addressing and managing conflicts of interest in the planning and delivery of nutrition programmes at country level”. The main objectives for each Enhanced Learning Exercise were to bring together SUN Focal Points and partners to discuss their experiences in relation to preventing and managing conflict of interest. They assessed how the Reference Note and Toolkit produced in Phase I of the project can be applied and used to support work in this area at country level and they captured experiences and lessons learned to be consolidated into an In-Practice Brief on Preventing and Managing Conflict of Interest. When the SUN Movement Lead Group met in September 2012, more than 30 countries and several hundred supporters were engaged in the SUN Movement. The Lead Group was aware and had observed that when different stakeholders commit to working together, they will often differ on their approaches and interests. However, the strength of the Movement relies on different stakeholders working through these differences to achieve results and impact in the countries that have joined the Movement. As an aspect of good governance, partners engaging with the SUN Movement should be aware of and act consistently with the Principles of Engagement, and in particular the commitment to be “willing to negotiate, and when conflicts arise, as can be expected with diverse partners working together, hold the intention to resolve conflicts and reach a way forward.” In order to do this effectively, conflicts of interest should be identified and prevented, if possible, and for those that cannot be prevented, managed in a transparent way. The Lead Group therefore requested a document that would serve as a point of reference for governments in SUN countries to help them do so. Starting in April 2013, the Global Social Observatory (GSO) – an independent forum for multi-stakeholder dialogue – with financial support from the Bill and Melinda Gates Foundation, facilitated an interactive consultation process to review some of these issues and leading to the production a Reference Note and Toolkit on the Prevention and Management of Conflict of Interest in the SUN Movement. The GSO convened a series of consultation meetings involving representatives from SUN Countries and all SUN Networks. Each consultation meeting aimed to explore and develop the perspectives and experiences of the participants on conflict of interest, with a view to producing a non-binding detailed Reference Note for the Movement’s stakeholders. A Steering Committee, led by GSO, and including representatives of each of the SUN Networks has overseen this process. At the conclusion of three rounds of consultations with SUN Movement stakeholders, the GSO produced a draft Reference Note on Engaging in the SUN Movement: Preventing and Managing Conflicts of Interest (English | Français | Español). The note was accompanied by an Executive Summary (English | Français | Español) and supplemented by a SUN Movement Toolkit for Preventing and Managing Conflict of Interest (English | Français | Español). During 2014, the GSO partnered with the SUN Movement Secretariat to convene four Enhanced Learning Exercises to test the usefulness of the Reference Note and Toolkit and to better understand some of the key challenges facing countries in dealing with these issues. The meetings also offered and opportunity to learn and share country experiences. Finally, a concluding Global Conference in Geneva on the 16th and 17th February 2015 offered the opportunity to discuss the key lessons learned from the GSO/SUN CoI process. The key lessons learned are detailed in a Synthesis Report on the Consultation Process on Conflict of Interest in the Scaling Up Nutrition (SUN) Movement. Send us a message via the contact us form with “Conflict of interest” in the subject line.